Why Choose Whole Health Chiropractic Center For Your Fitness Needs? We focus on your individual needs and goals. 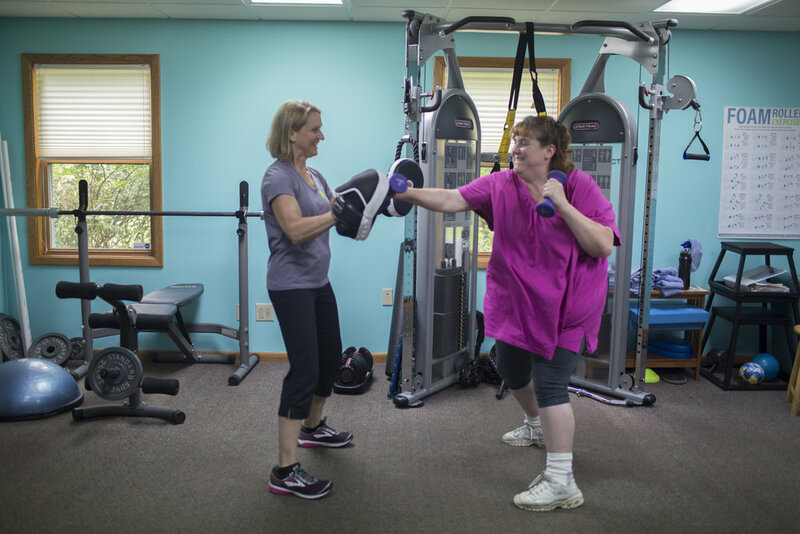 We are well trained and experienced with people of all ages and fitness levels. We really care about helping you maximize your health and potential. We love what we do and it’s fun! Functional fitness exercises train your muscles to work together and prepare them for daily tasks by simulating common movements you might do at home, at work or in sports. Functional fitness exercises emphasize core stability. Focus on form helps keep you safe from injury. You build strength and endurance, tone muscles, and burn calories. People of all ages and fitness levels can benefit. In a Functional Movement Assessment, Dr. Kleppe is looking for the causes of painful and pain free limitations in ranges of movement. She does a thorough active head to toe evaluation to determine where you have mobility, stability and muscle imbalance issues. Often pain or limitations are being caused by dysfunctions in the body away from the site of the reported problem, and therefore don’t get recognized or addressed. With her findings, she designs a specific program to address the individuals needs. 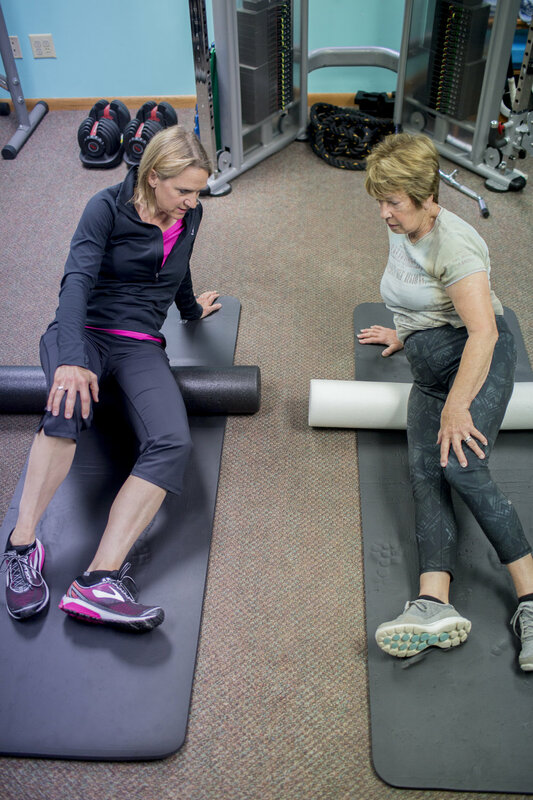 This may include the use of mobility tools like rollers, massage sticks and balls and stretches as well as corrective and functional exercises. The goal is pain free optimal function. Do I Need a Functional Movement Assessment and Corrective Exercises? Movement assessments, corrective and functional exercise are for anyone looking to maximize their health and fitness potential. The misconception is that they are only for athletes or someone who is injured. Due to stress, too much sitting and screen time, repetitive movements from work, sports or hobbies, almost everyone has some form of muscle imbalance and faulty movement patterns. It is interesting to go through the process, learn and experience what you can do to improve your function. 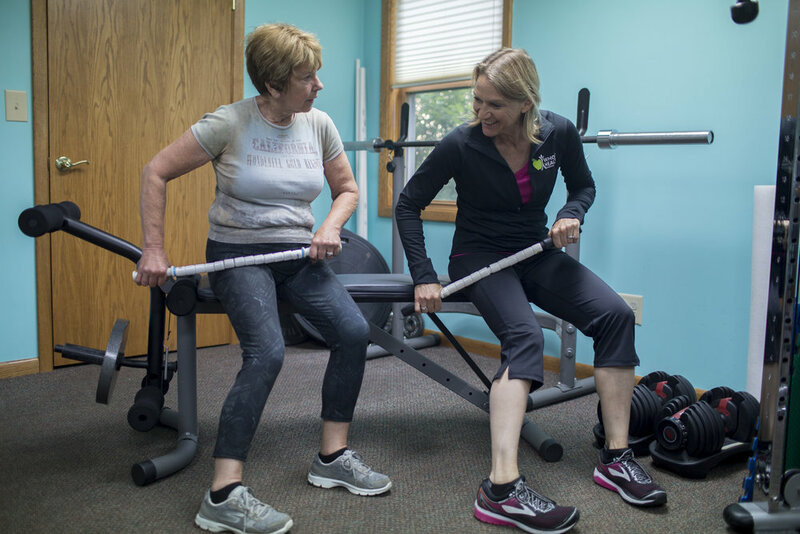 Verlynn Kleppe, DC, is a Certified Personal Trainer and a Corrective Exercise Specialist who leads our team of Certified Personal Trainers in our Functional Fitness exercise programs. Dr. Kleppe, Coach Megan and Coach Jody design personalized Functional Fitness personal training sessions to meet your individual goals and needs. Join us as a Functional Fitness client today! This plan allows you to train 90 minutes a week AND full access to all cardio equipment during normal business hours. Clients must sign-up for auto debit via credit card or prepay by the 5th of every month by check. This is a non-refundable monthly program.